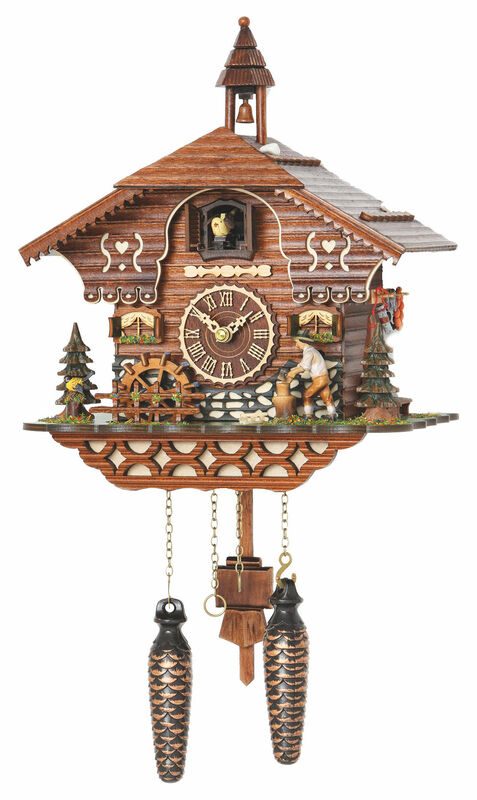 Handmade from wood, lovingly detailed and painted in the Black Forest. Quartz movement with 12 melodies, movable wood chipper and rotating mill wheel, automatic night shutdown, height 29cm. Melody list: "Clementine" "The Merry Wanderer" "Dr. Schiwago "" Edelweiss "" For Elise "" He Was Beautiful "" Home Sweet Home "" Loreley "" Love Theme Of The Movie "" Swan Lake "" Sound Of Silence "" The Entertainer "Requires 3 x Baby Cells LR14.